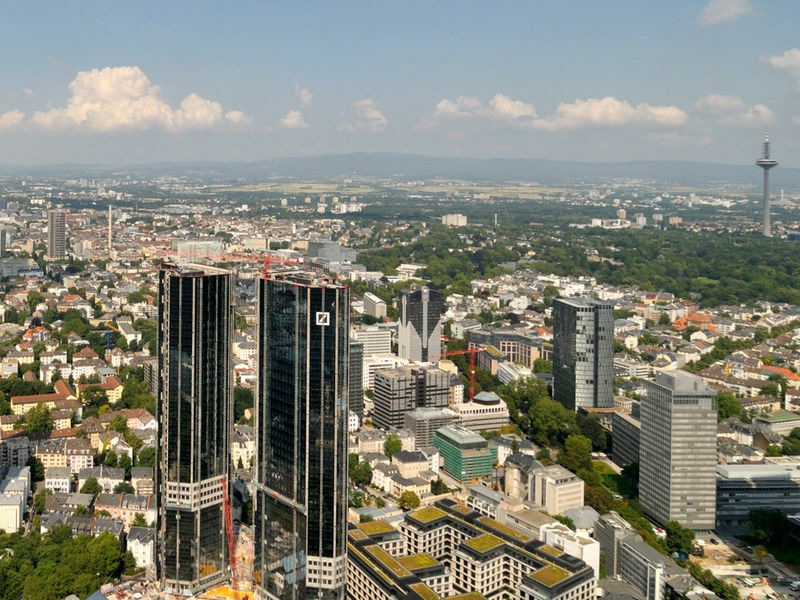 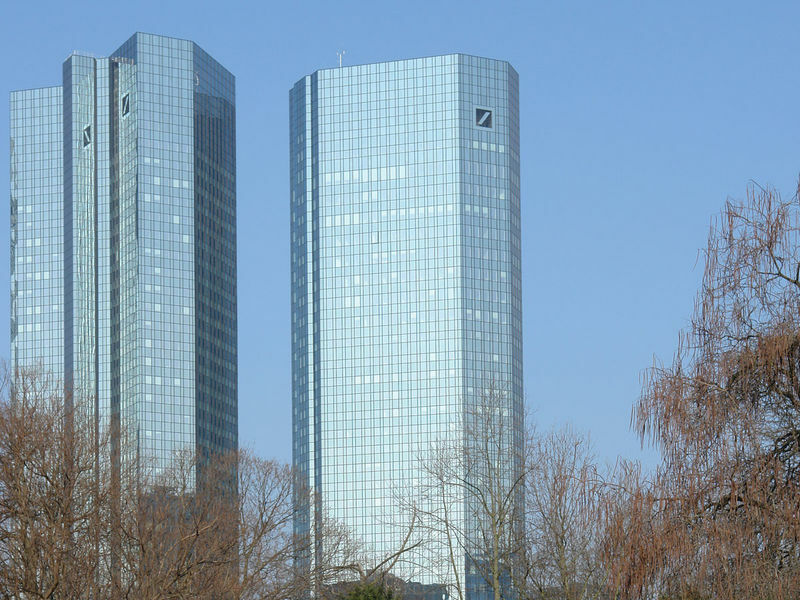 Allegedly the twin towers of the Deutsche Bank headquarters are called "Credit and Debit" by locals, these faceted glass towers are different colours depending on viewing angle. 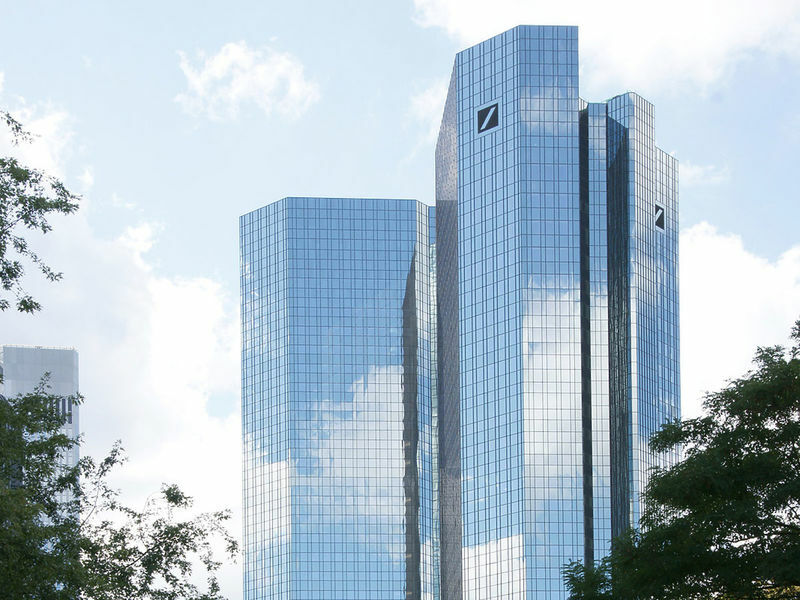 From above, they reflect the ground, appearing black and from the ground, they reflect the blue sky. 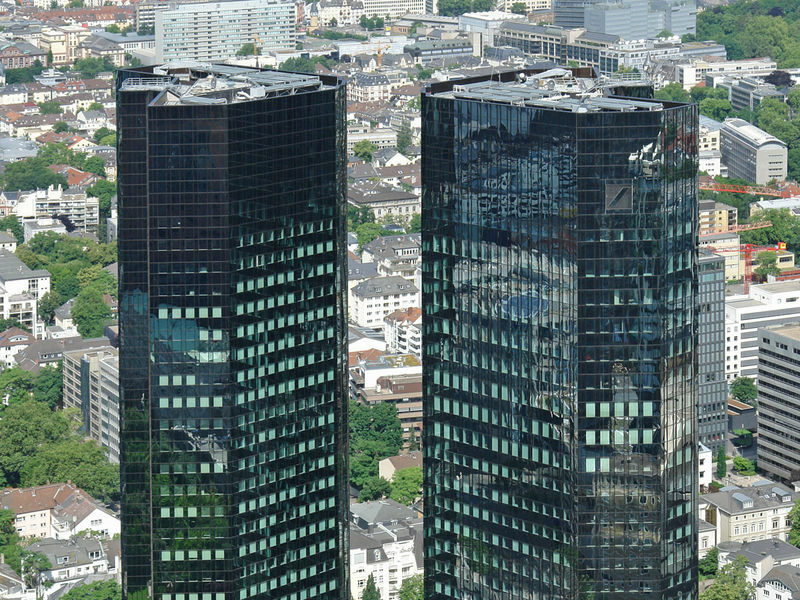 The towers have a common podium base.